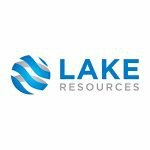 Lake Resources (ASX:LKE) has wasted no time on its flagship lithium projects as it gears up to begin its maiden drill program. LKE is about to commence drilling at its Kachi Lithium Brine Project, which is situated in Argentina’s ‘Lithium Triangle’ – the source of half of the world’s lithium. Already the results are looking positive from initial samples. And that’s with the drillbit yet to spin. Meanwhile, we could expect further results to come from the company as its lithium pegmatite project is undergoing sampling as we speak. LKE has four projects in the area – three brine and one pegmatite – and all sit in close proximity to the world’s biggest lithium producer, the US$11.8 billion-capped Albemarle (NYSE:ALB), and the world’s second biggest producer, US$9.5 billion SQM (NYSE:SQM). The project is also nearby the AU$570 million Orocobre (ASX:ORE), and given its gearing up for an imminent drilling program, the $12 million LKE could see plenty of upside given to its currently small market cap. LKE has a simple game plan. It aims to gather enough results from its projects to put together a Scoping Study and a JORC Resource estimate and progress discussions with potential offtake partners. So, with drilling in the coming weeks and plenty of newsflow to come, LKE finds itself in a place that provides plenty of room to grow. Lake Resources’ (ASX:LKE) Kachi Lithium Brine Project is just one of the company’s several assets in South America’s enviable ‘Lithium Triangle’ — a region in northern Argentina and Chile that is the source of half the world’s lithium.